Apple has quietly refreshed its line of MacBook Pro laptops. The Cupertino based company has introduced improvements in performance, storage, and graphical capability for its 13 inch, 15 inch, and 17 inch models, according to CNET. Apple’s entry level model now comes paired with a 2.4GHz processor and a hard drive capacity of 500GB, more than 150GB of additional space. The previous 13 inch laptop sported a 2.3GHz chip and 320GB of storage. The $1,499 13 inch MacBook Pro has been given a 2.8GHz processor, up from 2.7GHz. Its hard drive has been upgraded to 750 gigabytes from 500GB. Both models come preloaded with 4GB of RAM and the Intel HD Graphics 3000 card. Apple’s i7 processor has been introduced to the higher cost iteration, while the standard 13 inch laptop is still powered by an i5 central processing unit. Packing a new AMD Radeon HD 6750M graphic card with 512MB of RAM, the 15 inch model offers a 2.2GHz i7 processor. The middle range model is priced at $1,799. 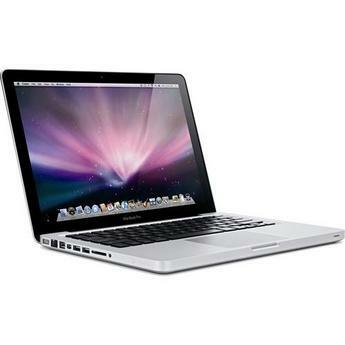 The higher end, $2,499 17 inch MacBook Pro offers an AMD Radeon HD 6770M graphics card and a 2.4GHz processor. The previous 17 incher only offered a 2.2GHz processor. The revamped MacBook Pro laptops are now available in stores.